Owner has now added a 2 car garage(working with County Planning) as well as a price reduction!! This home is a must see Country Charm!! Looking for a 4 Bed 3 Bath Historic Colonial with 200K Plus Remodel! 2450 sq ft plus. You don't have to do anything but move in and enjoy the touches without all the work! Must see to appreciate! 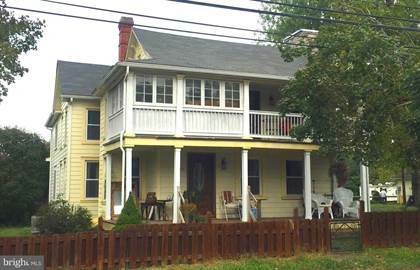 1840,1908 Historic Colonial. 2 Fireplaces. Granite countertops. All Flooring is Refinished Harwood or Ceramic. Close to VA. Tankless HWH. Hi, I'd like to find out more information about 57 GILES MILL ROAD. Thanks so much!